"Wladimir Klitschko | The Inspirational Story of Boxing Superstar Wladimir Klitschko" is an unauthorized biography that covers all aspects of Wladimir Klitschko's life, from his early life to his boxing career to his philanthropy, in a concise, straightforward manner. As someone who doesn't like to be bogged down with stats when I read a sports biography, I appreciated how succinct the book is; the author really distilled it down to the essential details. 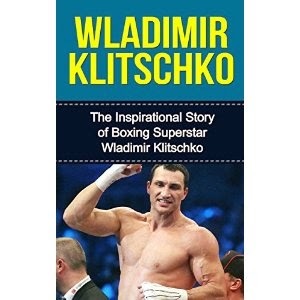 If you want an indepth look at Klitschko's life, this probably isn't the book for you. You'd be better off searching for the info you want on the internet. But if you want a quick, fun Klitschoko biography, you'll enjoy this.